Home Office media coverage today includes reporting on yesterday's ONS migration statistics and a consultation on new safeguards for the use of communications data. There is widespread coverage of the statistics published by the ONS yesterday, with most papers leading on EU migration and Brexit. The papers also state that while there seems to be a fall in EU migration, the number of EU nationals applying for British citizenship has more than doubled. Within the coverage, the Guardian reports there is some evidence that ‘Brexodus’ is under way and cites statisticians as saying that the reduction of EU migrants could be linked to economic changes across the EU, such as improved job opportunities, and the fall in the value of the pound. The Mail's editorial says that while the fall in net migration is ‘good news’, it needs to be put into context. It states that the annual total of 230,000 is still the equivalent to a town the size of Reading, and that record numbers of foreign students are still coming to the UK. The Times, Telegraph and Mail carry separate pieces on the LGBT+ asylum claims statistics, stating that sexual orientation was raised as part of the asylum claim in more than 3,500, or 6 percent, of the 58,700 applications. 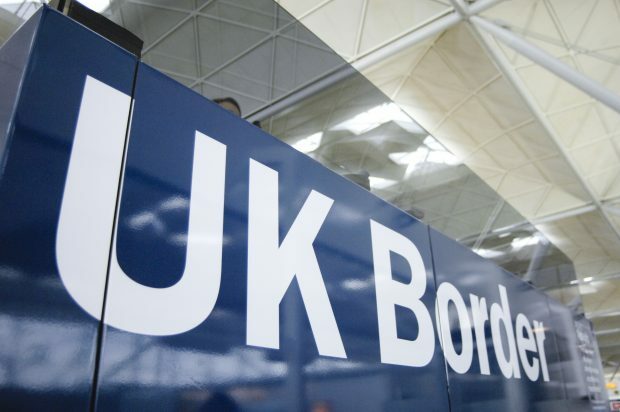 A statement from the Immigration Minister in response to the ONS statistics was published on yesterday's blog. Our statement in response to the LGBT+ asylum claims statistics is below. This Government is committed to an asylum system which is supportive and responsive to those claiming asylum on the basis of their sexual orientation. All asylum claims lodged in the UK, including those on the grounds of sexuality, are carefully considered in accordance with our international obligations. Decision-makers are given dedicated training and guidance on how to handle such claims. No one who is found to be at risk of persecution or serious harm in their country of origin because of their sexuality will be returned. The Times, Independent and Sun carry reports saying the police could face restrictions on their power to request personal phone and web browsing records. The Guardian and a number of technology-focused outlets have published articles online. An independent agency will be set up to authorise requests for the information from the police and other public bodies, the Times reports. The changes were announced in a Home Office consultation published yesterday after a European Court of Justice ruling that set out safeguards required for the acquisition and retention of communications data. The Times and Guardian report the Security Minister’s statement which reflected the importance of communications data in child sexual exploitation investigations. Further details on the consultation are available on gov.uk, and a statement from the Security Minister is below. Communications data is used in the vast majority of serious and organised crime prosecutions and has been used in every major Security Service counter-terrorism investigation over the last decade. Its importance cannot be overstated. For example, it is often the only way to identify paedophiles involved in online child abuse and can be used to identify where and when these horrendous crimes have taken place. As this is an issue of public importance, we consider it important to consult on our proposed changes to inform our legislative response and subsequent Parliamentary debate. All responses will be welcomed and carefully considered.